Horse and pony mad little ones will love this 100% cotton Horse and Foal single duvet cover set. 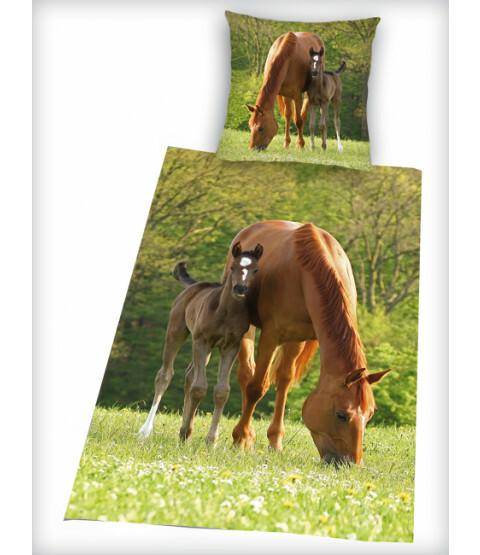 The design features an adorable photographic style image of a horse and her foal in a field, on both the duvet cover and pillowcase. This bedding set can be machine washed and tumble dried on a cool setting.